I have a SUPER SIMPLE little watercoloring project to show you today and it includes only TWO steps. Seriously, you can’t color any easier than this! Materials: Stamp (Because I Care, earn this FREE as a hostess), Watercolor paper, Stampin’ UP! Classic Ink Pads (Old Olive, Daffodil Delight and Pumpkin Pie), Aqua Painter, scissors, Dimensionals, needle and thread, Early Espresso cardstock and ribbon. 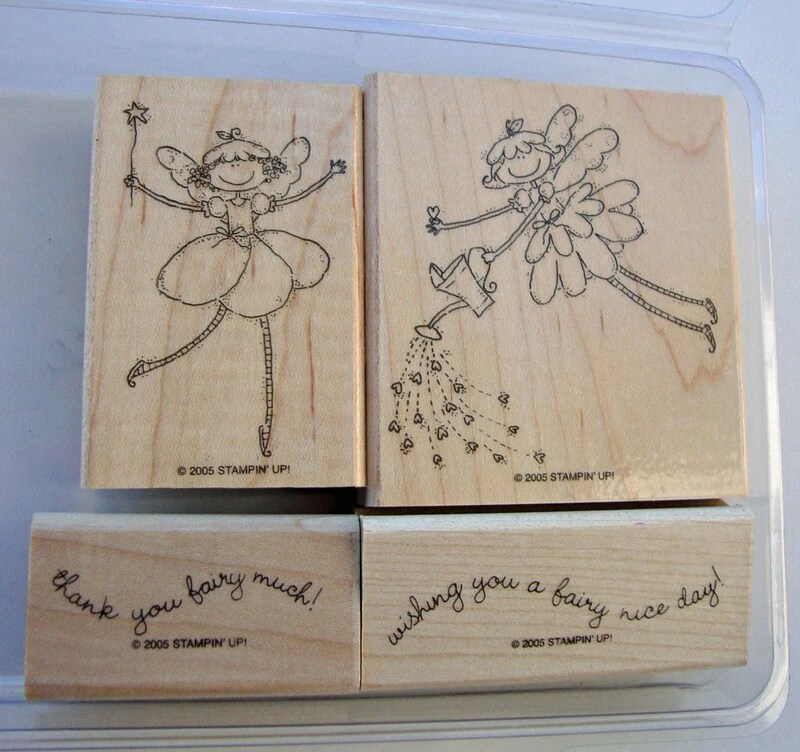 *Before starting this project, with your Stampin’ UP! 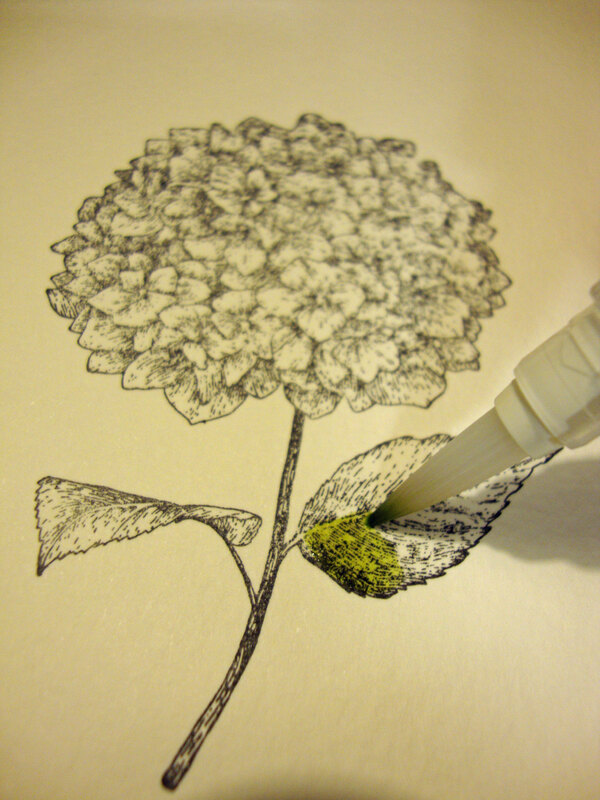 ink pads closed, gently press the top down toward the ink pad inside. 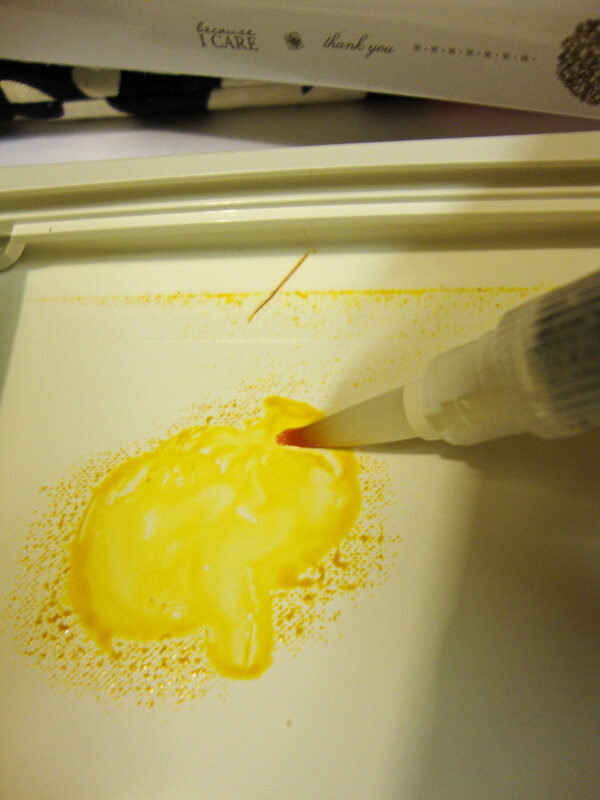 This will transfer some ink to the lid – this is what you’ll use for the next steps. 1. 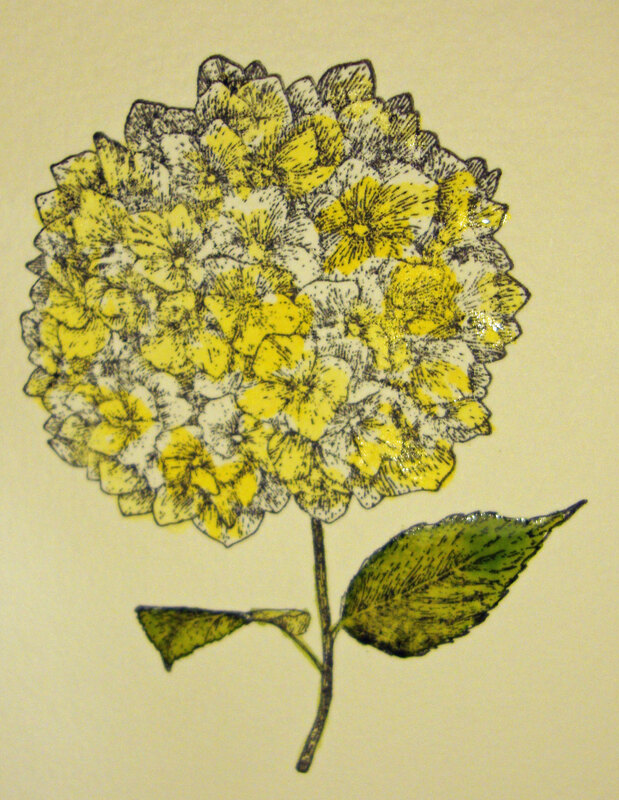 Stamp your desired image in solvent ink (such as StazOn). 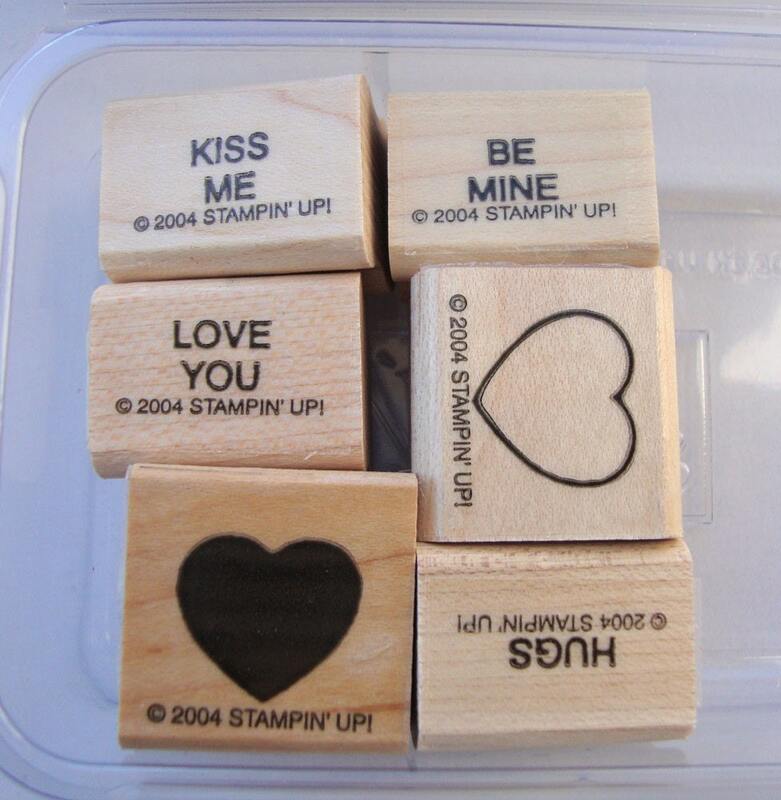 Do not use Stampin’ UP! ink or any other water-based ink for this step as it will run once we start watercoloring. 2. Painting Step 1: Fill your Aqua Painter with water according to the package directions. 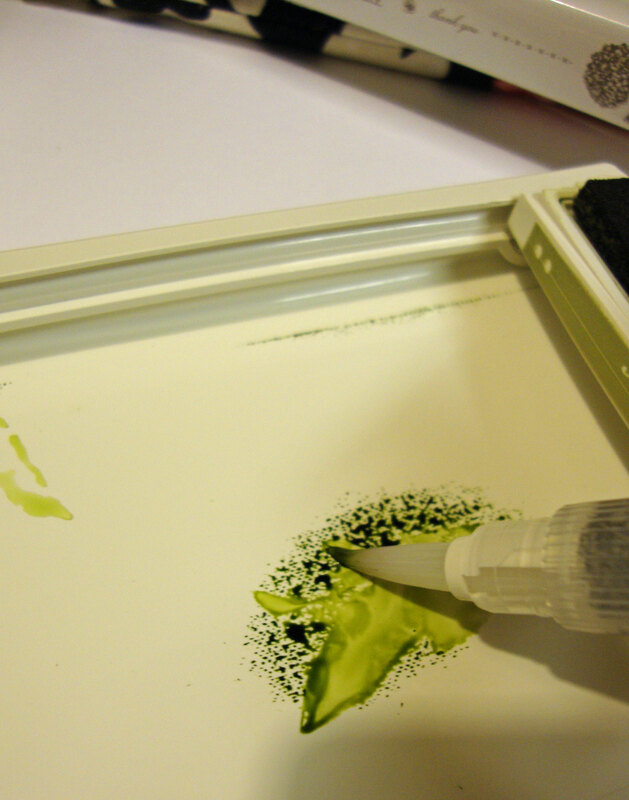 Place the tip of your Aqua Painter in the lid of your ink pad so it soaks up some ink. *When you’re ready to change colors simply wipe your Aqua Painter bristles onto the watercolor paper until it runs clear. 4. 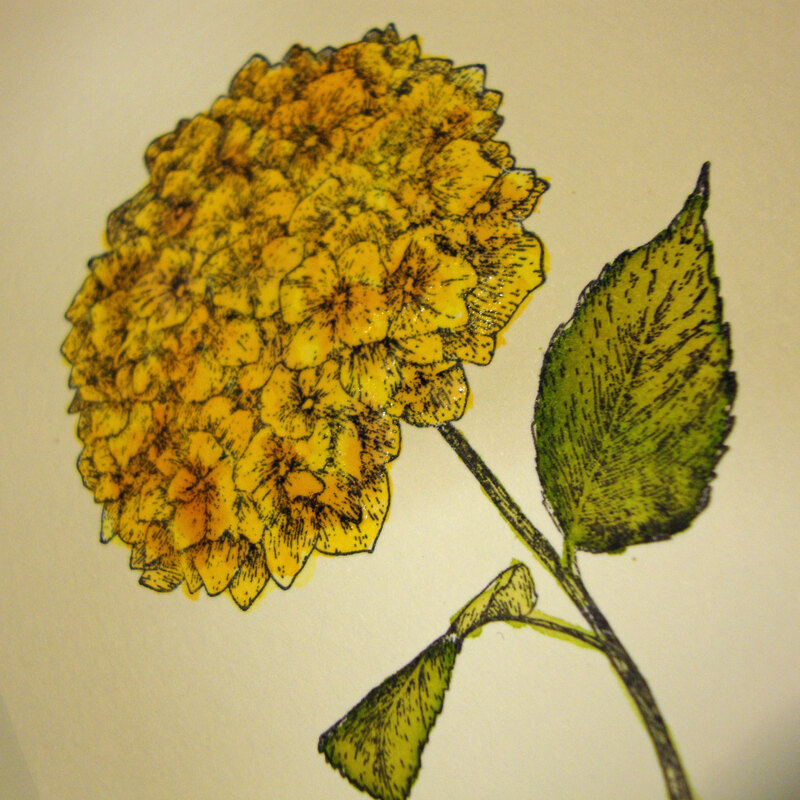 Continue putting down ink colors until you’re satisfied with the image. Ahh… we’re finally back up and running online! 🙂 It was a REALLY long summer, but now we’re a bit settled. Things will be changing around here soon enough, but for now I’m happy to have a few scrapbooking and stamping supplies out of storage and internet access to share them! 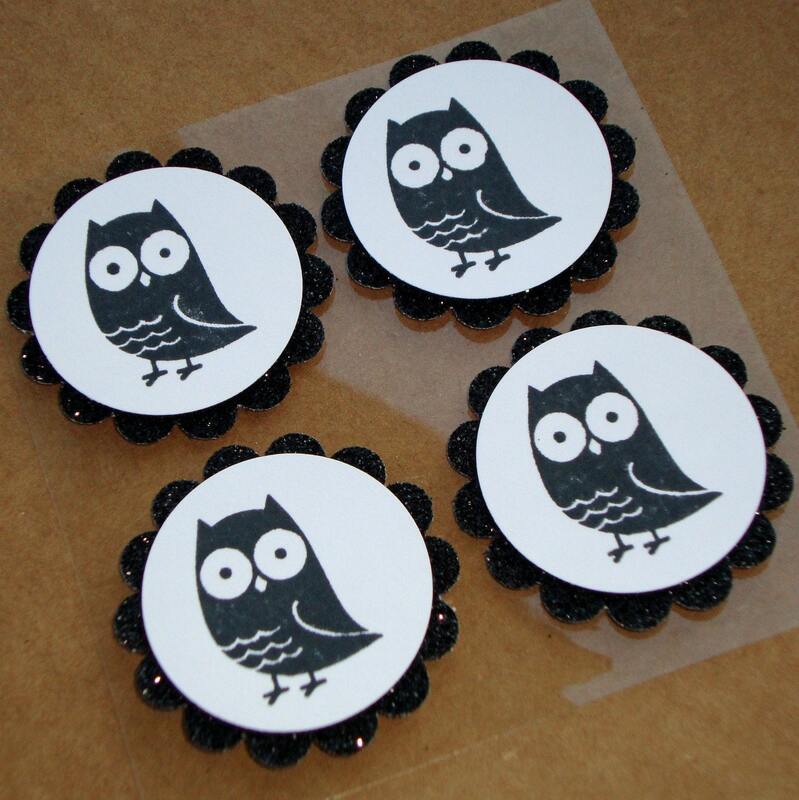 One of my favorite items are these “Hoot Hoot” owl embellishments! I used the Stampin’ UP! “Fox and Friends” owl and layered the punched image on some glittered black cardstock I picked up a few months ago from somewhere (don’t remember where, LOL!) I added some foam tape to the back and now they’re perfect for Halloween cards and scrapbooking layouts! I love stamps (obviously! ;)) but I especially love stamps with versitility. I like to use my purchasing power to really get milage out of my supplies. 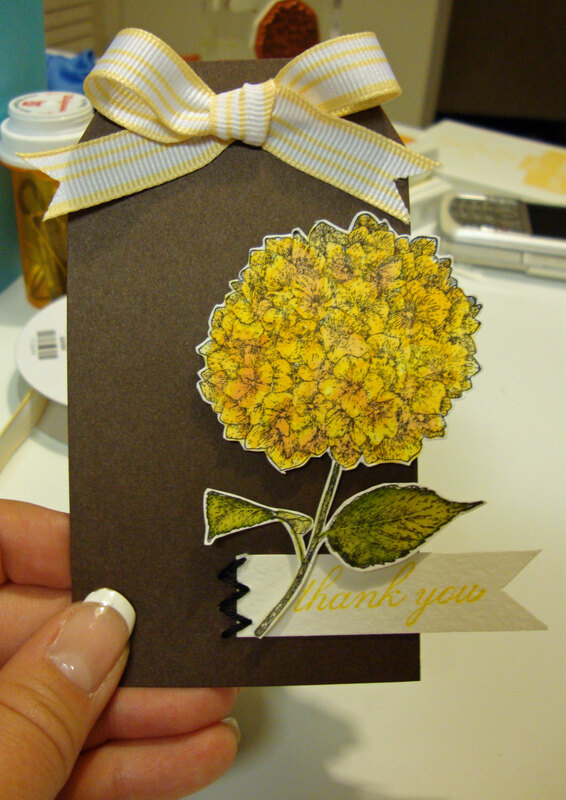 Take for example the “Simple Birthday Thanks” stamp from Stampin’ UP! 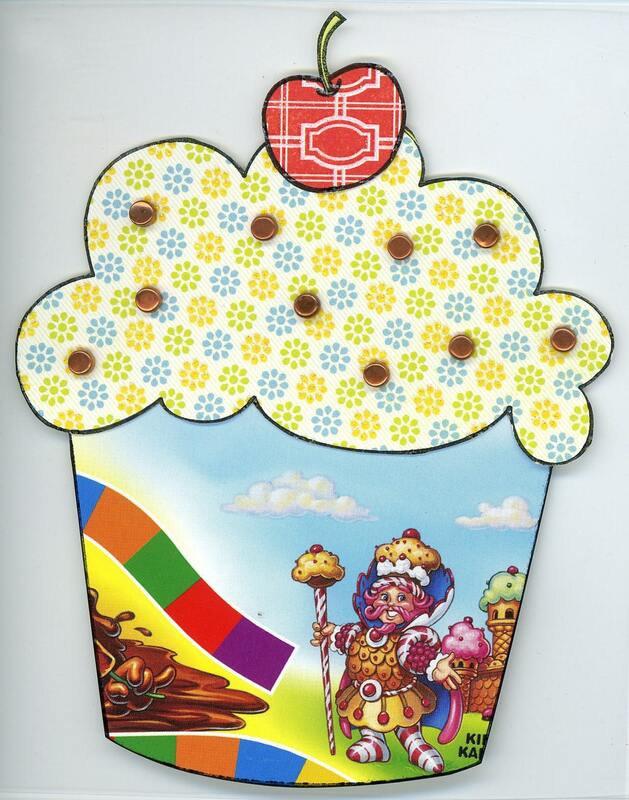 While I love the simple thank-you note on the inside of the cupcake, did you know you could take that out? Before I mounted this stamp I used an Xacto knife to cut out the wording portion (and the wording on the identification sticker). These I mounted separately so I can use just the cupcake, just the wording, or both. 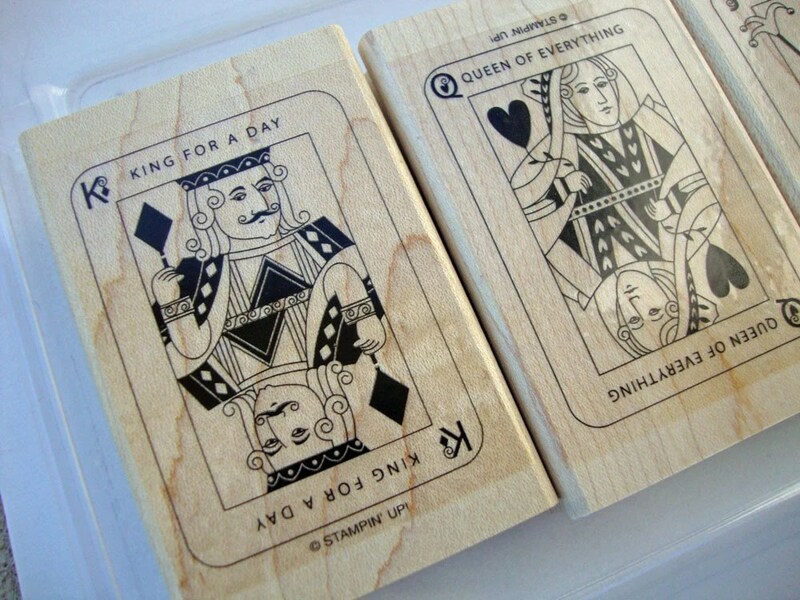 All these designs (and so much more) can be created with just this ONE stamp! And for only $17.95 it’s a steal! If you love this Stampin’ UP! stamp (and all the others!) you can earn it FREE just by inviting your friends over and stamping with me and the gang! Contact me today to set up a workshop in your home or mine and enjoy all the fun, creativity, and FREE products Stampin’ UP! has to offer! Have a great and creative week everyone! Stampin’ UP! has put together this fabulous video about the new products. Check it out, then view the mini catalog over on the right sidebar of my blog. To purchase any of these products, simply click the “Shop 24/7” button. And if you’d like to be one of the first people to host a Summer Mini workshop, just let me know! I was blog-surfing the other day and came across a fabulous quote in passing. I’m afraid I can’t remember which blog it was on, but it was a business blog. So concise, so clear, and so right-on-point. Too often we buy things “just because”. But what if we went out of our way a bit more each day. What if we spent our money on things that tasted better, felt better against our skin, took care of our bodies better, and with businesses and people we trusted and cared about? Now I’m not one of those people who only buys from small businesses, hates the big-box stores and only eats organic. However, I firmly believe in supporting the businesses and employees I care about. I do try to buy handmade whenever possible (I need to work on that), and try not to give into instant gratification when something I want is available at a valued business but I find it at a place I wouldn’t usually give my money right now (I really need to work on that). As an independent business woman I can firmly say that I want to be that person/business that is valued. I want my customers to become friends as I’ve become friends with so many people at the businesses I frequent. Where we spend our money is usually the place we spend the most of our time. More importantly, I want to put something out there that makes people feel better about themselves, their abilities and their memories. And I want to spend my money like I’m voting. I'm Tammy Moore, a scrapbooking fanatic in Austin, TX. Thanks for stopping by my little space on the web. Feel free to contact me any time! The content in this blog is the sole responsibility of Tammy Moore. All content, including text, projects, photographs, etc. are the sole property of Tammy Moore and are shared for non-commercial purposes. Feel free to use my ideas (for non-commercial use), just please remember to give proper credit. Thanks!